Raise your Rum! Caribbean here you come. Upload a pic of you & your friends rumming it up and share it for a chance to win a week long cruise worth nearly $8000! 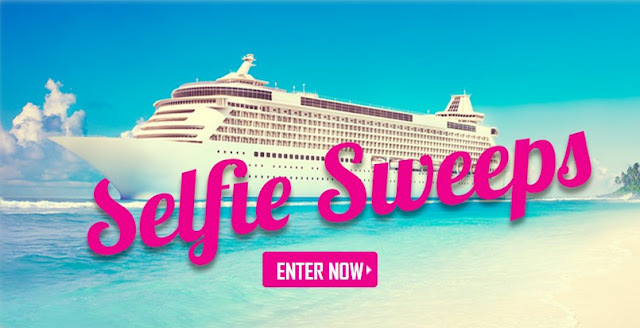 Grand Prize (1): An 8-day/7-night Sponsor-specified Eastern Caribbean cruise for two (2) with a port in the Bahamas (“Trip”). Trip includes roundtrip coach class air transportation to/from the major airport nearest the winner’s home city to point of embarkation in Fort Lauderdale, FL; ground transportation from the airport to cruise port/cruise port to airport and cruise accommodations for 7 nights (one outside stateroom based on double occupancy), all meals and entertainment on board and port and government taxes. The ARV of the Grand Prize is $7,950. This Sweepstakes ends on 11/06/16 and you can ENTER DAILY to win.